This post was originally published on April 14th, 2015. Many women and men have iron deficiency (anemia). The symptoms of iron deficiency include fatigue, shortness of breath, frequent infections, pica (craving non-food items such as chalk or ice), brittle nails and hair loss. If you believe you have anemia, have a doctor test your iron levels. Find out the risk factors, the causes, medical tests and the solutions for iron deficiency hair loss. Anyone can have iron deficiency but women and adolescent girls of childbearing age are especially at risk. Women with a history of anemia, women and adolescents with heavy blood loss during menstruation, or women who are pregnant, may be especially prone to iron deficiency. According to the NIH, about 1 in 5 women of childbearing age and about 50% of all pregnant women develop iron deficiency anemia. For pregnant women, prenatal medical care usually includes screening for iron deficiency. If your iron levels are low during pregnancy, your obstetrician may prescribe iron dietary supplements or recommend eating more foods with iron. Why does iron deficiency cause hair loss? Temporary hair loss such as iron deficiency hair loss is called telogen effluvium. Telogen effluvium is an abnormality of the hair growth cycle that causes hair that would normally be in the anagen (growing) phase of the hair growth cycle to be prematurely pushed into the telogen (resting) phase. This causes the affected hairs to fall out. Telogen effuvium is usually temporary if you promptly address the cause. Because hair is a non-essential body part, hair growth is one of the first processes to be affected when iron or other nutrient deficiencies occur. Serum iron. This test measures the amount of iron in your blood. Your blood iron level can be normal even if the total amount of iron in your body is low, so doctors usually recommend doing this test along with other iron tests. Serum ferritin. By measuring ferritin, a protein that helps store iron in the body, your doctor can find out how much of your body’s stored iron has been used. Low serum ferritin impairs hair growth as the body seeks to conserve iron for essential body functions. 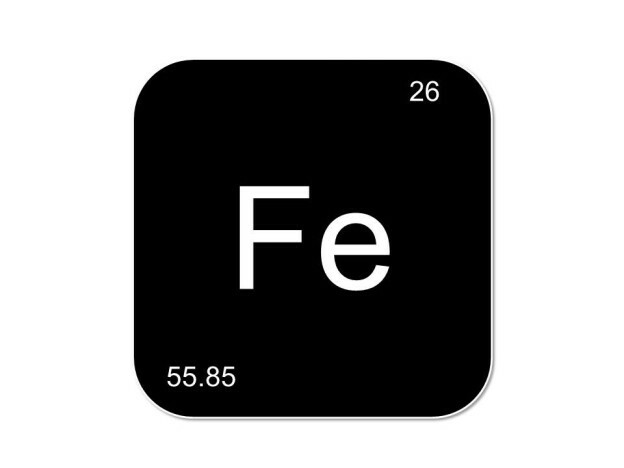 Transferrin level (or total iron-binding capacity). Transferrin is a protein in your blood that carries iron, and total iron-binding capacity measures how much transferrin is not carrying iron. Individuals with iron deficiency will often have a high level of transferrin that has no iron. If your doctor diagnoses you with iron deficiency or if you simply want to increase the healthy hair nutrients in your diet, eat more iron-rich foods or take a dietary supplement with iron. The most iron-rich foods are red meats such as beef and liver. Other animal proteins such as chicken, pork, fish and shellfish are also good sources of iron. Research suggests that the body absorbs iron from animal sources better than iron from non-meat (vegetarian) foods. For vegetarian iron sources, eat more spinach and dark leafy green vegetables; beans and lentils; tofu; dried fruits such as prunes and apricots; and prune juice. In addition, Vitamin C helps the body absorb iron. Good sources of vitamin C are red peppers, strawberries, spinach and citrus fruits. An easier way to get more iron and Vitamin C in your diet plus added hair growth benefits is a hair growth supplement. Select a supplement that has iron plus healthy hair nutrients such as Biotin, Zinc and marine extracts. Generally, the healthier the nutrients you consume, the more impressive your tresses will be. When addressing iron deficiency hair loss, remember that what happens to your body today will not affect your hair tomorrow. Unlike the skin, it can take several months before the negative effects of crash diets, iron deficiency or other hair loss causes show in your hair growth. To manage iron deficiency hair loss, be patient and consistently take the recommended dosage of a proven hair growth supplement. Your diligence should pay off in a few short months!